“You, lady, are my number one suspect.” These words, spoken by Rakesh Maria, head of the Mumbai Crime Branch, not only introduce me to the first chapter but also set the tone of the book Death in Mumbai. 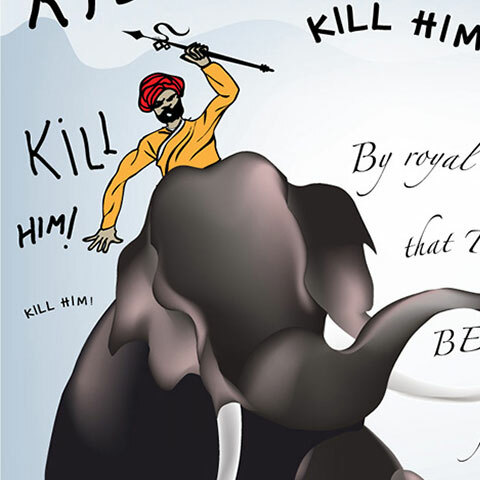 Written by Meenal Baghel, editor of the Mumbai Mirror, the book documents the disappearance and murder of Neeraj Grover in 2008. For those of us who may not remember, the Neeraj Grover murder case was the most publicised event on news channels in India at the time. The young T.V. executive disappeared in May of 2008. After much investigation, it was found that he had been killed and disposed of by his lover, Maria Susairaj and her fiancée Emile Jerome. 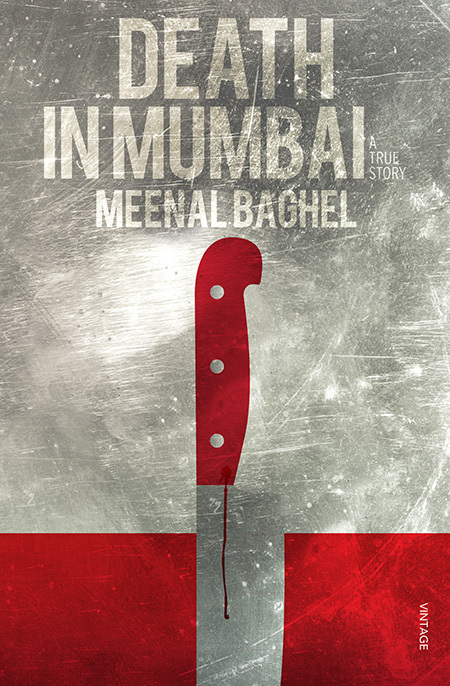 Death in Mumbai book cover. It has been more than three years since then, and the press has long since been distracted by other events that have occurred in the country. Slowly, the story had faded from my mind as well. This book, however, not only reminds you of the details of the murder that transpired, but also provides you with a lot of information that you might not have known about the people concerned, as well as the murder. Neeraj Grover was an ambitious boy from Kanpur, who moved to Mumbai to live the big city dream. Maria Susairaj had the same idea in mind as she moved here to pursue her desire to become a famous actress. Her fiancée Emile Jerome was a naval officer, who was also known for his explosive temper. Neeraj and Maria, who knew each other earlier, met in Mumbai in 2008. And the rest, as they say aptly, is history. As I read the book, I found myself extremely involved. As the characters were examined in detail, I was transported back to their childhood, understanding their upbringing and the places they came from. I followed them to adulthood and watched as they chose what they wanted to become. I saw how they came into each other’s lives. And when the events related to the murder were described, I stood and watched in shock. The book also describes many other people, who are in some way associated with the case, directly or otherwise. Whether it is Ekta Kapoor, the successful T.V. producer who was once Neeraj Grover’s boss, Moon Das, the actress with a terrible past of her own who was asked to play Maria Susairaj, or Inspector Raorane, who played a key role in the arrest of Maria and Emile, each person is given due importance in the book and I found myself relating to many of them. The credit for this journey certainly goes to the author, who has managed to bind all the information she gathered in a very effective way. She also deserves recognition for not dramatising the story, something that is done very often while dealing with the subject of murder and betrayal (Ram Gopal Verma’s Not a Love Story comes to mind). A common question that swims in most of our heads when we hear of such things is pretty basic: how can a person simply end the life of another? If you hope for this to be answered after reading Death in Mumbai, then you will probably be a little disappointed. It does not claim to reveal any secrets of the case that would explain the logic behind the murder. Instead, it gives you a dose of pure, unadulterated reality and tells you about the basic psyche of the people involved. The information is laid out in front of you and you are given the freedom to interpret it. I, for one, truly appreciated this book. By Neeharika Palaka · The National's latest album is recommended for rainy days, autumn, and drinking yourself to sleep.